The United Nations World Food Programme (WFP) this week air-lifted life-saving food supplies to drought-stricken Somalia for the most vulnerable people, particularly children, who are displaced from their homes and have no access to food or cooking facilities. A Boeing 747, donated by UPS Foundation, arrived in Mogadishu from Dubai this morning carrying 47 metric tons of high-energy biscuits (HEBs) – enough to assist 31,000 people for three days – as well as critical medical supplies on behalf of the World Health Organization (WHO). The shipment was arranged by the United Nations Humanitarian Response Depot (UNHRD) in Dubai. 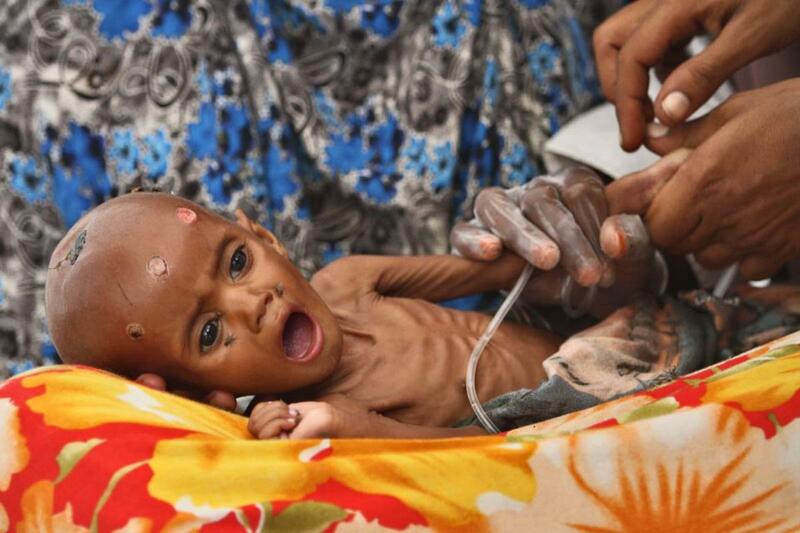 As the drought intensifies, particularly in parts of south and north-eastern Somalia, severe food insecurity has spread. Half of the population, including 330,000 acutely malnourished children, are in need of urgent assistance. HEBs are ideally used in emergency situations as they are rich in minerals and vitamins and do not require preparation. Following consumption of HEBs over three days, WFP then provides other types of live-saving food assistance. Over the past three years, an emergency food assistance response by WFP and its partners has supported drought-affected people with vital supplies, such as specialized nutritious foods, school meals programmes and cash-based transfers.